Diamond Details: 8 Baguette cut, 1 emerald cut and 44 round brilliant cut white diamonds of F color, VS2 clarity, and of excellent cut and brilliance, weighing 1.75 carats total. Metal Details: 18k white gold with antique style caviar beading. 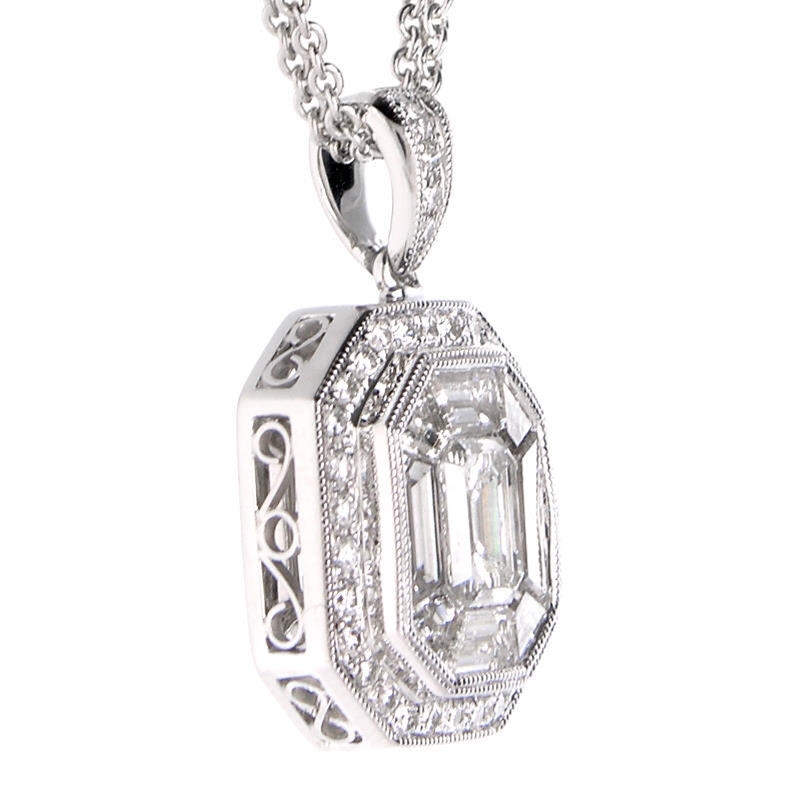 This gorgeous antique style 18k white gold pendant, designed in Italy, features 8 baguette cut, 1 emerald cut, and 44 round brilliant cut white diamonds of F color, VS2 clarity and excellent cut and brilliance weighing 1.75 carats total. 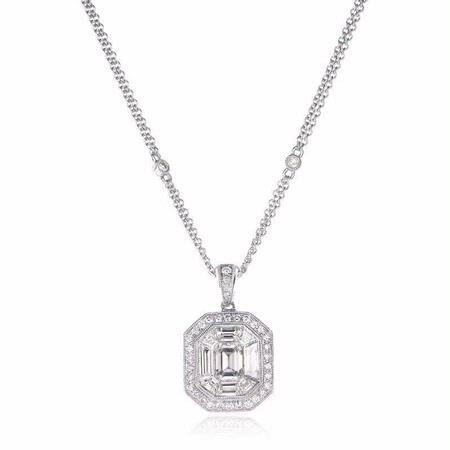 You`ll love this pendant! 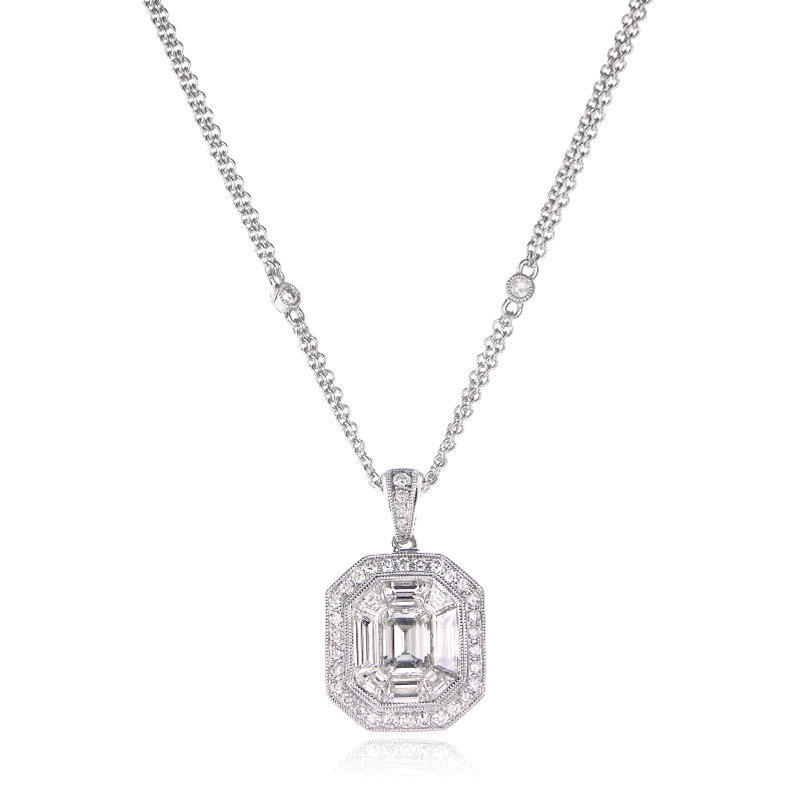 The chain measures 16 inches in length and the pendant measures 19mm in length and 13mm at the widest point.